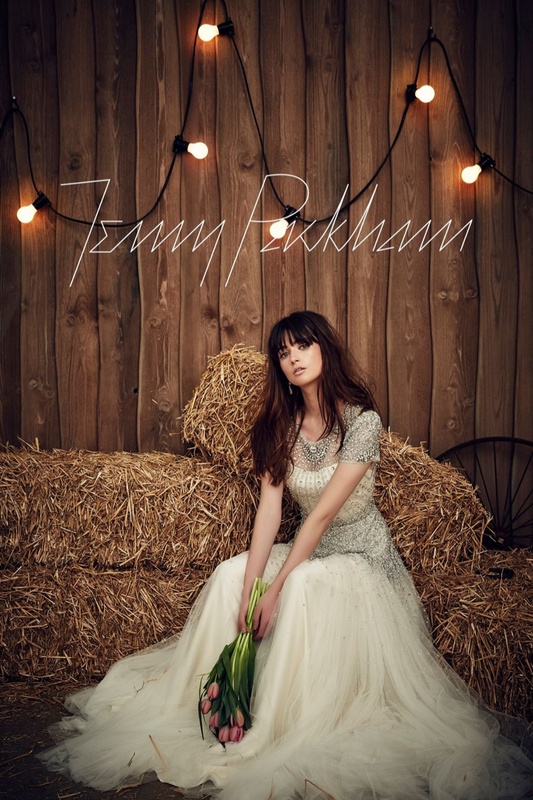 Jenny Packham goes the untraditional way and brings a bridal collection for Spring 2017 inspired by the country-west and bohemian styles. The lookbook is lensed in a barnyard setting, however, offers beautiful dresses to fall in love with, with a colour palette of ivory, petal pink, pastel green and even barley brown. 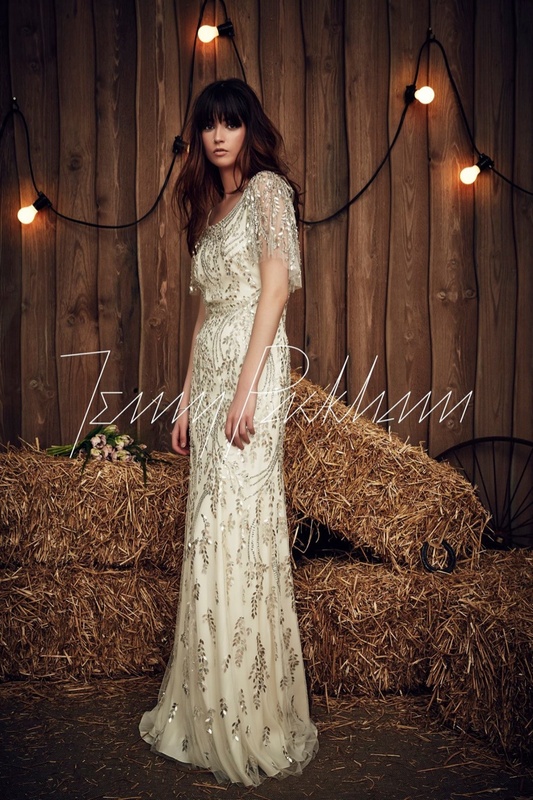 The designs are embellished in dreamy looks with crystals and beads, and the Jenny Packham bride is gorgeous in the classic silhouettes of column gowns to more modern numbers and hippy styles as well. For a country west influence, some designs feature star splattered embellished, while some have billowing sleeves and keyhole details.